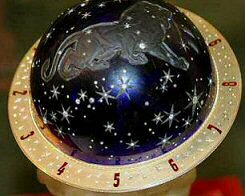 The 1917 Blue Tsarevich Constellation Egg was to be made of dark blue glass, probably silver, opaque rock crystal and rose-cut diamonds. 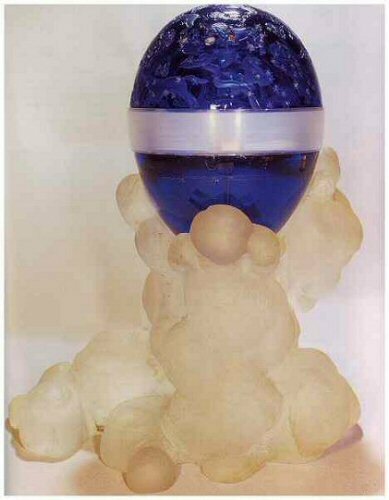 The last Easter egg ever designed by Fabergé, the Blue Tsarevich Constellation Egg was found in 2001 in its unfinished state at the Fersman Mineralogical Museum in Moscow. 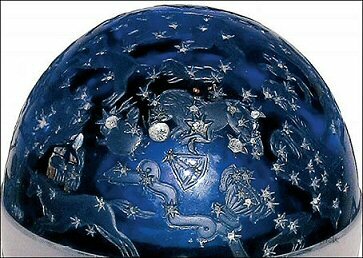 The Egg is made of dark blue glass and engraved with the star constellation of the day of the Tsarevich's birth. Lined with rose diamonds, it has has an opaque rock crystal base. Only the clockwork and the dial itself were missing, as well as the lager part of the diamond stars. 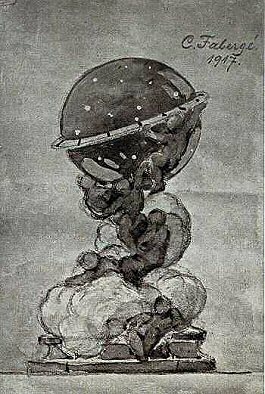 Reportedly the egg was in production for presentation to Alexandra Feodorovna but was never finished due to the abdication of the Tsar prior to Easter 1917. Tatiana Muntian, Fabergé expert at the Kremlin Armoury, verified the discovery by comparing the three found pieces to the original design, signed by Karl Fabergé and illustrated in A. Kenneth Snowman The Art of Carl Fabergé, (London, 1953), plate 386. Ms. Muntian has advised the author of this web page of other resources used: "Comparison of the details from the Fersman Mineralogical Museum of the Russian Academy of Science with documentary and archive sources, the Museum's unquestionable source and eighty-year-old museum history allow us to state unequivocally that the unfinished Constellation of the Tsarevich Egg was indeed preserved. Russian specialists, art historians from The Moscow Kremlin Museums, State Historical Museum, All-Russian State Museum of Decorative and Applied Art made their own attributions concerning the Fersman Museum object. There are also technological expert statement made by the State Scientific Institute of Restoration (gosniir@mail.cnt.ru)." Agathon Fabergé, one of the sons of the jeweller Karl Fabergé, who was forced by the communist regime to work on the inventory of the Imperial treasures, sent a large quantity of jewellery stones to the Fersman Museum. He also presented angular stones from his collection, a splendid vase from rock crystal in the renaissance style, and the pieces of the last Easter egg to be created by the firm Fabergé. Curatorial records in the Archives of the Fersman Mineralogical Museum date the receipt of this gift in the year 1925. Ms. Muntian advises due to the large volume of gifts received the accompanying accession record is dated 1928. The restoration work illustrated below, was undertaken by specialists from the State Scientific Research Institute of Restoration in Moscow. Through the courtesy of Tatiana Muntian of the Kremlin Museum and Marianna Chistyakova of the Fersman Museum, the photo below and the archival information above are included on this web page. Photo courtesy Muntian, Tatiana, Fabergé Easter Gifts (Moscow, 2003), 78. On the night of 16-17 September 1917, a train arrived in Moscow, packed with valuable property of the former palace department in St. Petersburg. Boxes with treasures, which belonged to the Imperial Family, were delivered into the Moscow Kremlin. 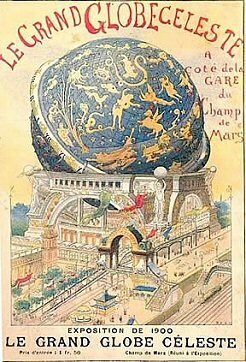 Among the treasures were the Easter Eggs of the firm Fabergé. Many small masterpieces were exported from Russia and sold abroad. Of the Easter Eggs, only ten remained in Russia. 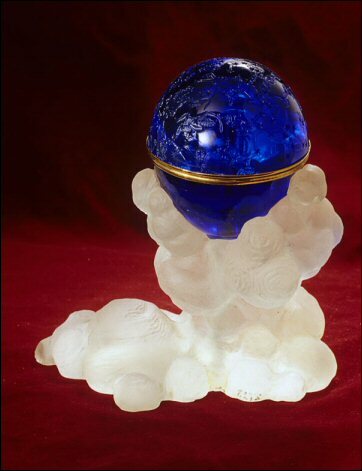 The eleventh egg, the 1917 Blue Tsarevich Constellation Egg, which was thought to have disappeared, all this time was stored in the reserves of the Fersman Mineralogical Museum. Fabergé experts have suggested egg nr. 4 may be a modern egg modelled after the unfinished 1917 original Fabergé Egg found in the Fersman Mineralogical Museum, Moscow. Pictures below are details of egg nr 4. --- Update January 8, 2010. The website of the Minerological Museum has information and images now too on this Egg, the text is in Russian and below a quick translation. In the collection of the Mineralogical Museum Fersman Sciences there is a unique exhibit - the unfinished last imperial egg, created by the firm of Faberge for Easter 1917. Its history is reflected in detail in articles by Tatiana N. Muntian and Marianna B. Chistyakov. Detective stories, which wind around the modern history of the egg, are described in articles by T.M. Belousova. The art director of Faberge FP Birbaum in 1922, wrote: "egg blue glass, which was encrusted with the constellation of the day on which the heir was born. Egg maintained Cupids, silver, and clouds of frosted rock crystal. If I'm not mistaken, there was inside a clock with a rotating dial. Production of Eggs was interrupted by the war. 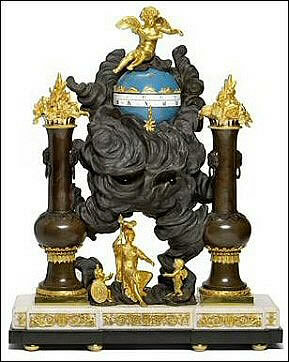 There were cupids, clouds, the egg itself with inlays and the pedestal. It was not finished. 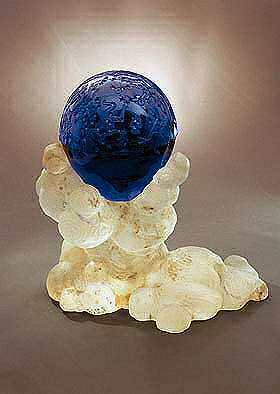 In the Mineralogical Museum of the Imperial eggs found in 1925, when Agathon Karlovich Faberge before fleeing abroad, gave Fersman a number of products from his company, including the unmade two halves of dark blue glass balls and stand in a semi-transparent clouds with a matte surface, cut from rock crystal. The bottom half of the eggs significantly extended, while the upper form is almost a perfect hemisphere. Recently, this Easter Egg is described as "Tsarevich Alexei." More on the constellation of the stars the day the Tsarevich was born: http://www.nasledie-rus.ru/podshivka/8320.php. English translation: use GoogleTranslate.